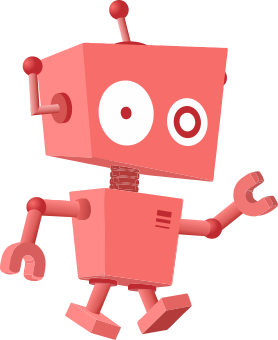 Size of this preview: 401 × 599 pixels. 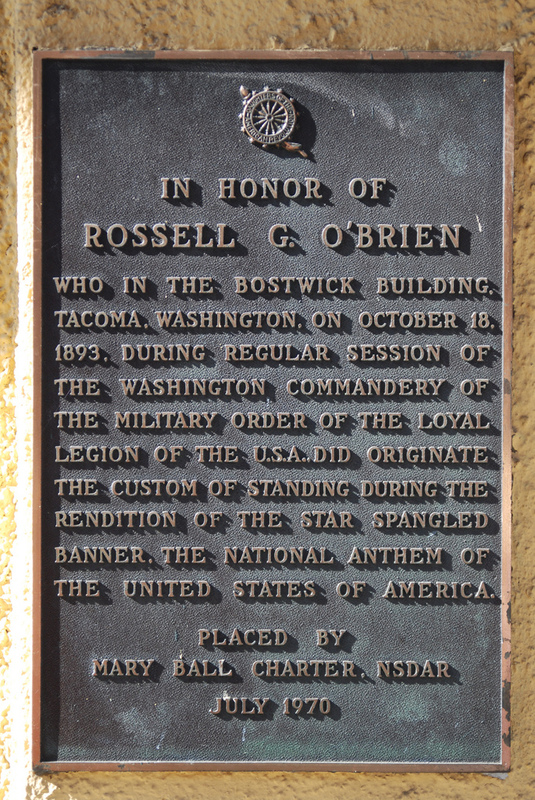 Other resolutions: 160 × 240 pixels | 685 × 1,024 pixels. 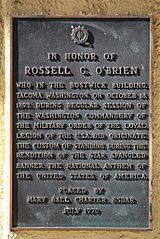 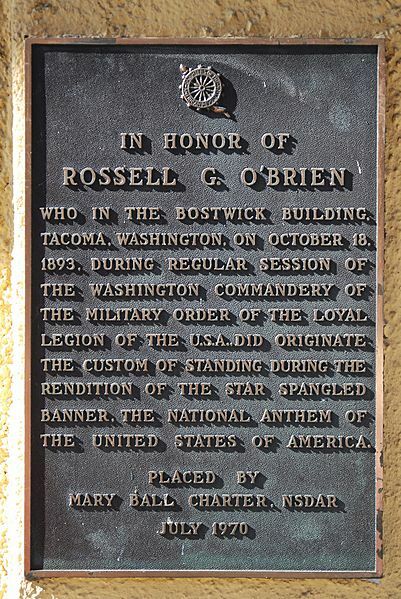 Description: Plaque detailing how the custom of standing during the SSB,originated in the Bostwick Building in Tacoma, WA October 18, 1893 during a session of the Washington Commandery of the Military Order of the Loyal Legion of the U.S.A.